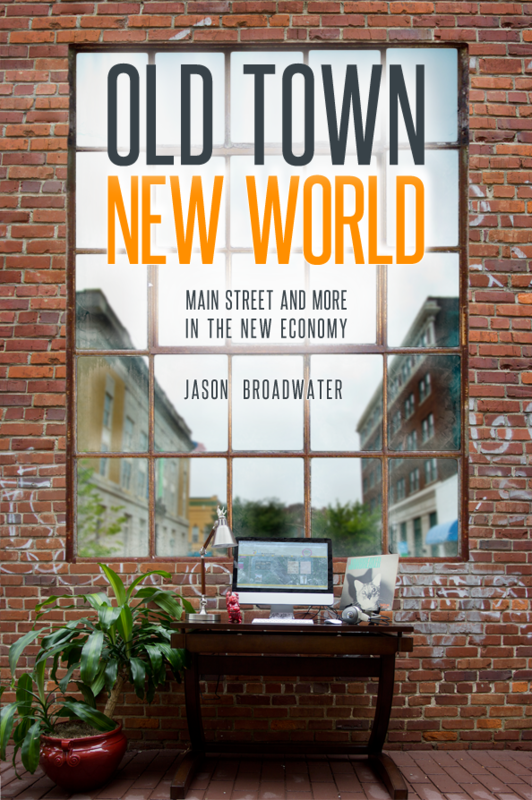 Jason Broadwater’s Old Town New World is a quick and powerful read. The manuscript is part treatise, part personal narrative, and part case study of Rock Hill, SC. The book asks: What does a successful small city look like in the new economy? The Internet, cowork, urban renewal, the creative class, collaboration, and the punk rock economy are all pieces of today’s Main Streets of small town USA. Old Town New World provides a glimpse into a new cultural era in our nation, in our world. Economic developers in small cities should take particular note that the section of the book entitled “A Strategy for Success” is a framework for a strategy that a community can implement to be successful in the new economy. More on Jason’s books and speaking at JasonBroadwater.com. Jason is a visionary person with a remarkable ability to put ideas into action. In supporting economic development of Old Town Rock Hill, Jason has created an annual conference, has built partnerships with York Technical College, Winthrop University and the City of Rock Hill to create The Hive, and served as a board member and committee chair for Rock Hill Economic Development Corporation. And along the way, he’s built a growing, successful business. Highest recommendations! Jason is a compelling speaker and writer full of innovative ideas. His notions of collaboration through public/private partnership and bringing together Education and Economic Development and the Internet are cutting edge and worthy of note by those of influence in these sectors.